Deepening Roots© offers participants an opportunity to sink their roots more deeply into the tradition—to explore the depths of the Judeo-Christian heritage, grow a clearer sense of God, and begin to think theologically about life and the world around. Deepening Roots©is based on recent trends in biblical studies that parallel literary studies, encouraging reading scripture as story, and considering texts in terms of the canon—when this book was collected, what was considered important to this community and why? Deepening Roots© meets monthly, eight times in the year, for three and a half hours, plus a two day retreat. Group size is limited to ten. 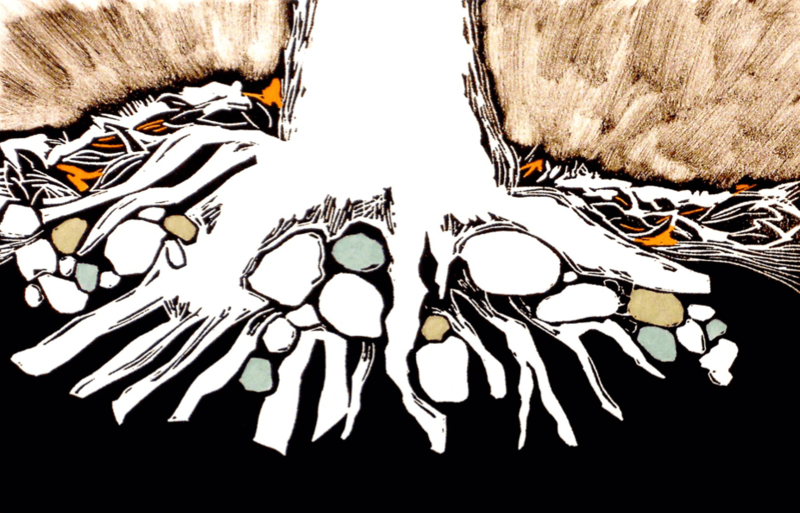 Deepening Roots© sessions include background input and facilitated discussion. We read scripture as narrative and canon–processing questions of how we read and how the Bible can be our book. Deepening Roots aims for all participants to become astute Bible readers and informed theologians, who can think and speak meaningfully about God. at St. Stephen’s in Edina, one Thursday a month from 6-9pm, beginning September 20, 2018.
at Holy Apostles in St. Paul, one Saturday a month from 9-12am, beginning September 22, 2018. Cost: $250 per person. To register, please contact Mary Ellen Ashcroft, maryellenvicar@gmail.com.